Undyed, natural colored sock yarn. 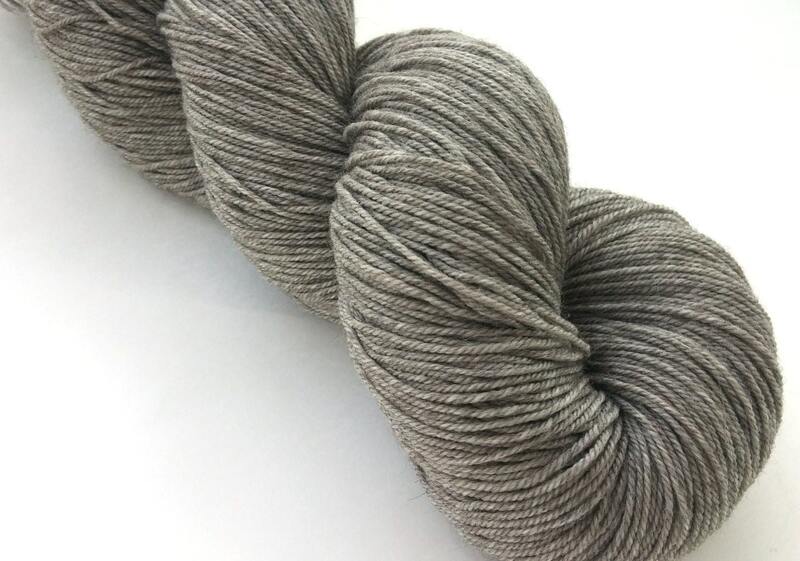 I loved the subtly heathered gray of this yarn before its dyed so much I decided to make some available! 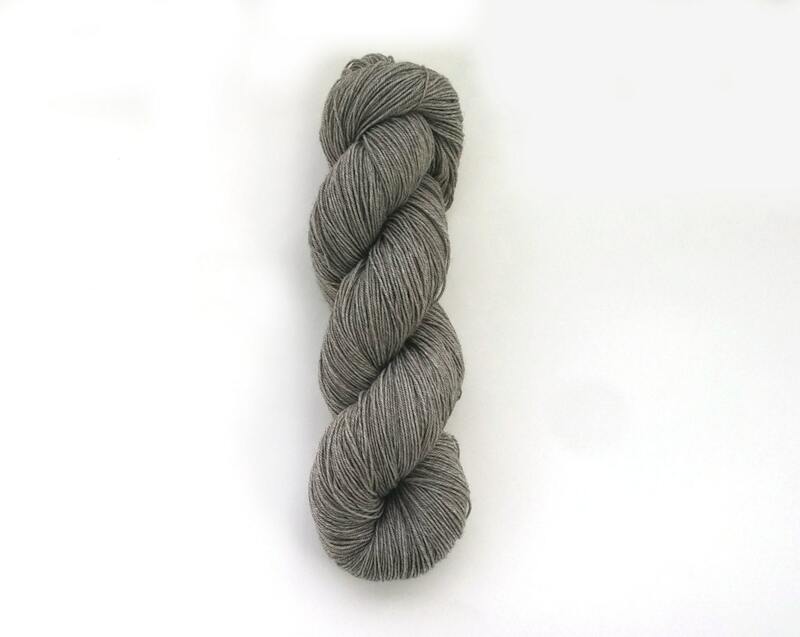 The yak fibers are naturally a darker gray that are blended with a white superwash Merino and a touch of nylon. 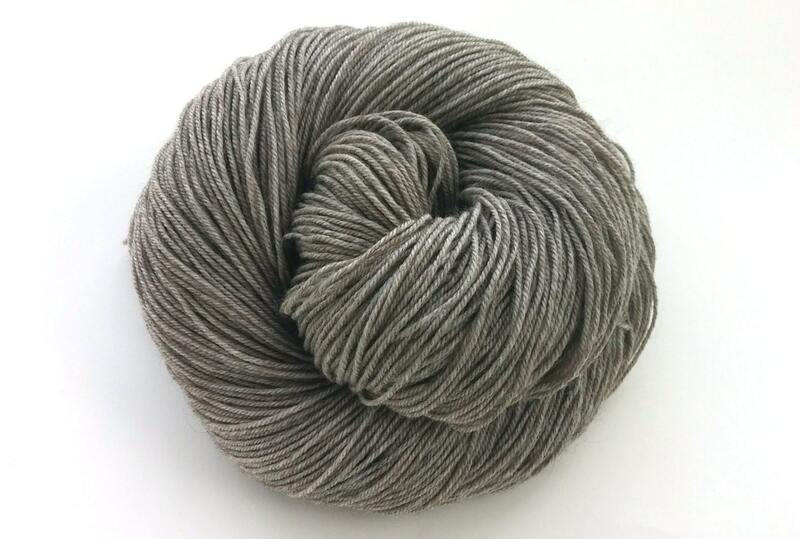 Because it is blended, this yarn is not a solid gray and has a slight variation in the color. This yarn base is 3-ply of a soft and springy Merino with a bit of nylon for added strength and a wonderfully soft and bouncy Yak fiber. The yak is naturally dark colored which gives the undyed yarn a beautiful slightly heathered gray color. This does cause any colorway dyed on this base to be darker. Because of the luxury yak fiber it is recommended to wash finished products by hand and lay flat to dry. Omg how soft and just the most beautiful color!!! I cant wait to make my boyfriend some socks. Wonderful shopping experience at this shop, as always. Beautiful undyed yak yarn - such a treat to find! Thank you!